Discover who your customers are, how they’re shopping, what they’re buying, and where they're coming from. Monitor how many customers made a purchase and what percentage of those where repeat customers. Watch your conversion rate and cart abandonment rate to detect any anomalies in time. 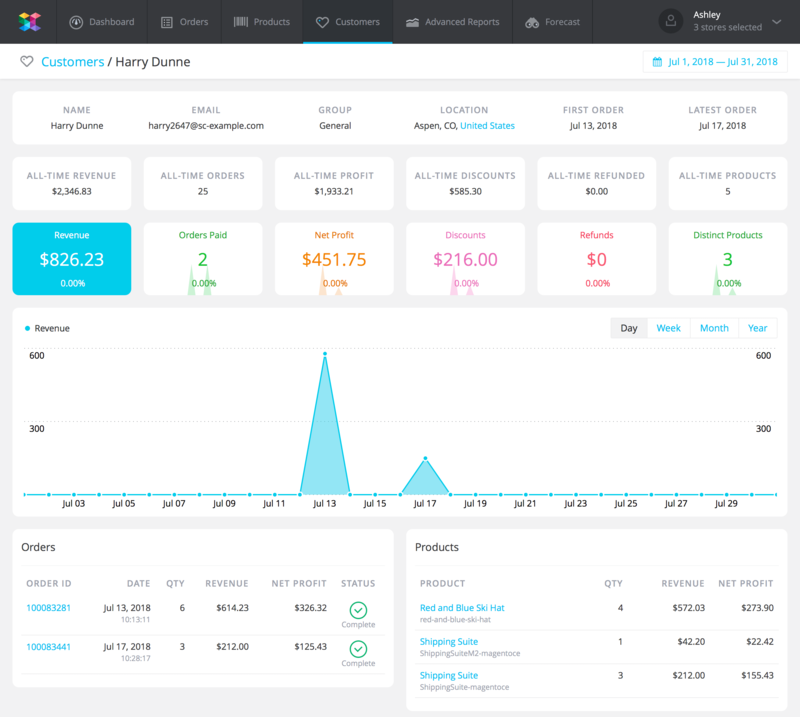 Find out who your best customers are, see how they shop and what they buy. 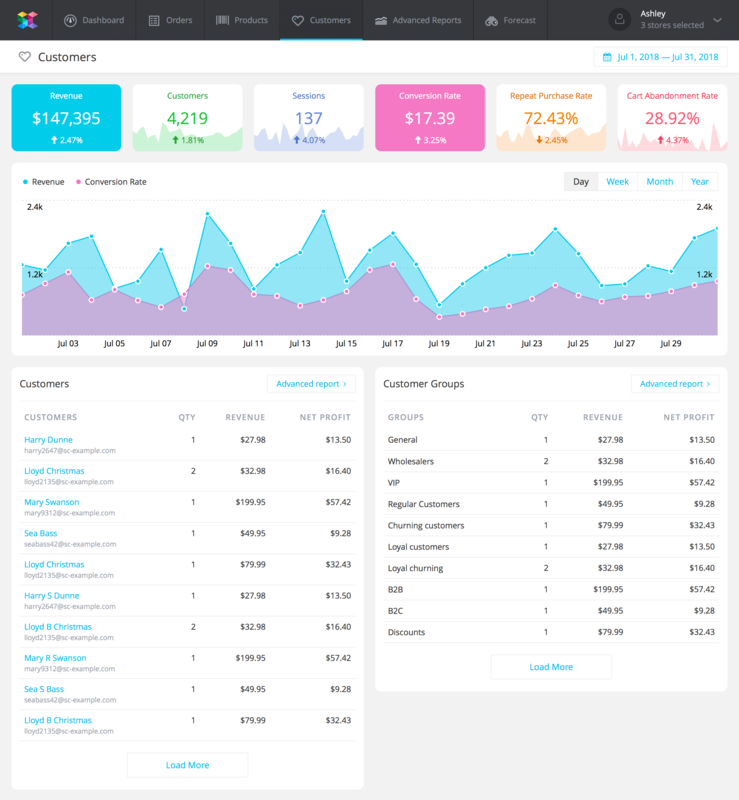 Keep track of your customer groups, see ones that bring most revenue and net profit. Analyze the shopping behavior of a certain customer over a period of time. Discover how much revenue and profit that customer brought, and how many discounts and refunds that customer received. View all products that were bought and all orders that were placed.